I am sitting in my hotel room in Oslo, Norway, and thought I ought to write this blog entry while the memories of the JavaZone conference is still fresh in my mind. 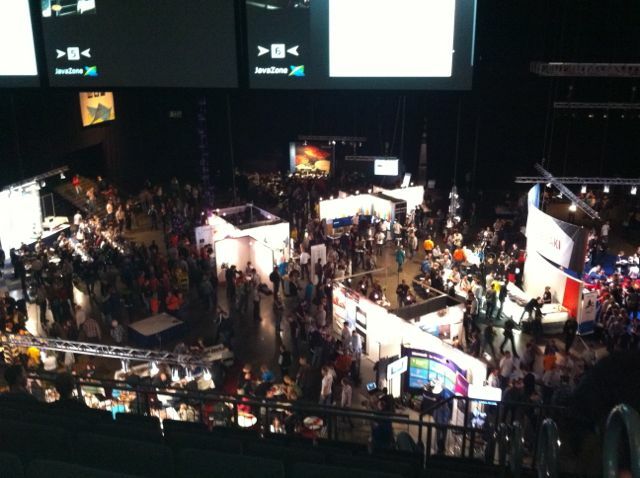 JavaZone is possible one of the largest conferences here in Scandinavia, and so far I am impressed. 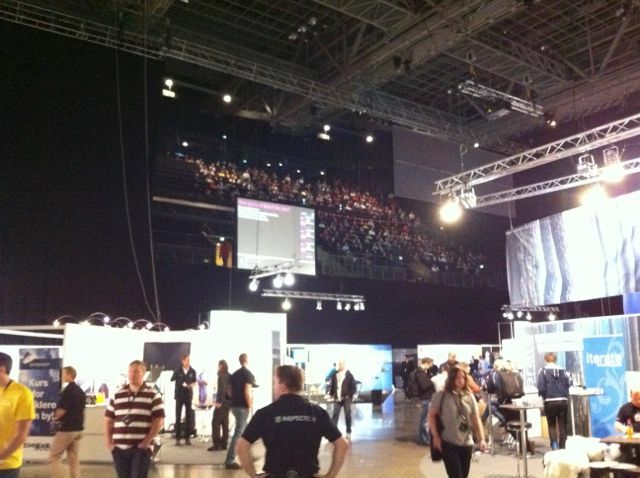 The venue is Oslo Spektrum, which is big multi arena with a huge exhibition floor. The speaker rooms is however a bit out of the ordinary. My presentation was in room five, which was up on the "second floor". 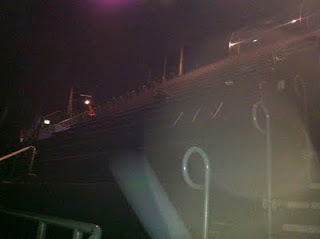 The seatings in the arena is very steep and thus your audience is seated high above the podium. My presentation was similar to some of the previous talks I have been touring with. 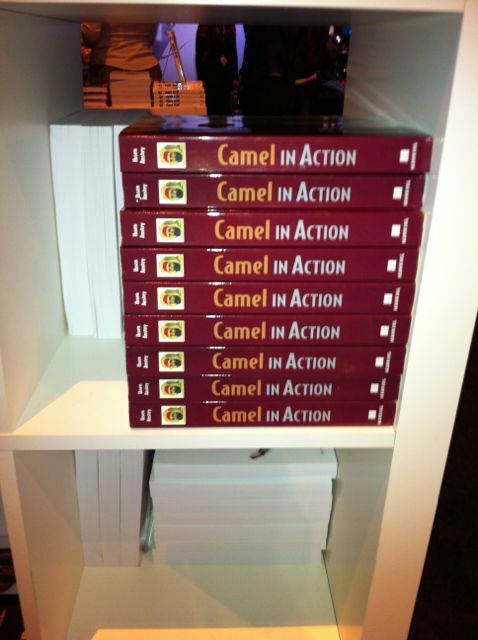 So you may have seen the presentation at a webinar, or from the CamelOne video, or the likes. The video of my talk is available here. And the slides is here. 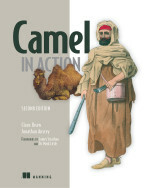 After my presentation, a 2nd Camel presentation was given by Rune Peter Bjørnstad, and Bjørn Nordlund. 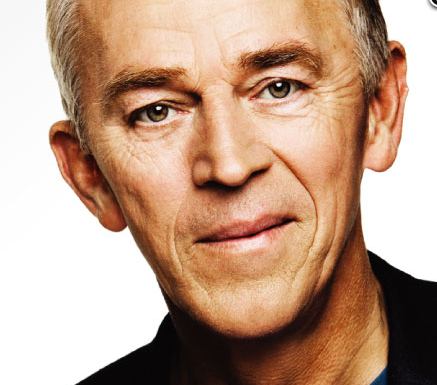 The presentation was in Norwegian, however as a dane I was able to understand almost all of it. 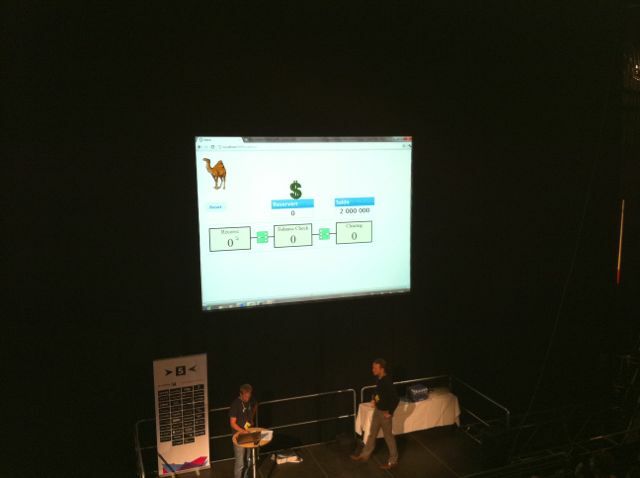 This was perfect timing as Rune and Bjørn's presentation was naturally in line of my presentation. They covered a real life use case used by Nets.no, their employer. The story is how their implemented a solution to process and validate payment transactions in a brach of 1000 pieces. The story and how they presented it was very well done. They did live coding in the Camel Java DSL in IDEA and had a easy to understand web page which they used to test their application. They showed how deal with transactions, avoid losing messages, and how to handle in case the server crashed etc. All together a very good presentation. The video for their presentation is available here. Later in the evening The Java Posse team went on stage. The audience was packed and we had a good time. It was their regular show of having polls of your favorite language, mobile platform etc. And taking in questions from the audience. And thanks to Atlassian for sponsoring the beers. 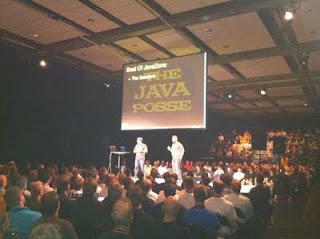 The JavaZone conference is a very good conference. There is plenty of space in the exhibition hall, although it may seem a little crowded. There is a overflow room at the 2nd floor, which have 6 big monitor screens. Then you can sit there with a headset and pick and chose your sessions. This is very neat and popular. What I particular like about the JavaZone conference is the excellent food and beverage. Its free and available all the time. So if you are hungry then you just go to a venue of your choice. You can have lasagne, sushi, tappas, fish, vegetarian, ice cream, and there is plenty of expresso machines so you can get a good cup of coffee. And the best, there is no big line of queue at the lunch break. This is something any other conference organizer ought to consider. 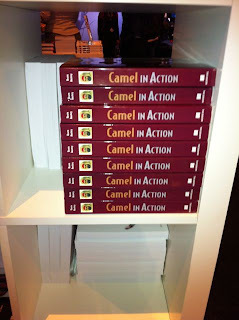 There was also a book store in the exhibition hall and I managed to spot Jonathan and mine book Camel in Action. By the way FuseSource is offering an exclusive 40% discount on the book, which you can find details here. On the 2nd day in the afternoon I took a break from the conference and did a walk in the city of Oslo. The weather showed itself from the best side with sun and a nice temperature. The day before we had a all day of rain and clouds. 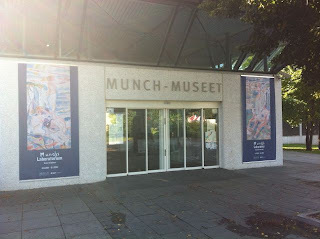 I went on my walk to the Munch Museum to see the arts of this excellent and famous norwegian painter. However his most famous painting - Skriget. 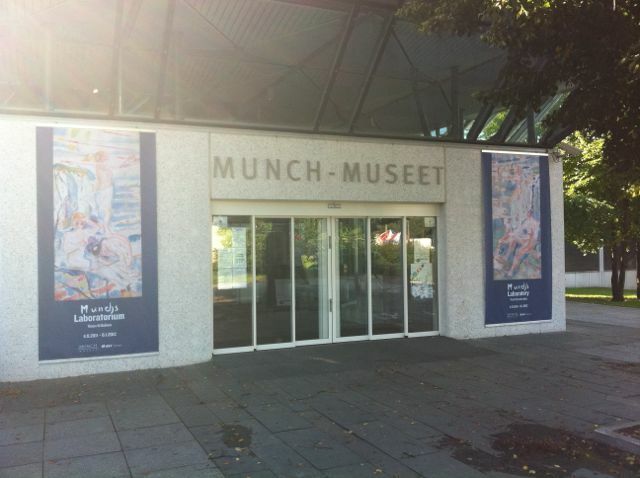 Is not on display here but at the national museum which is a 30 min distance away using public transport. 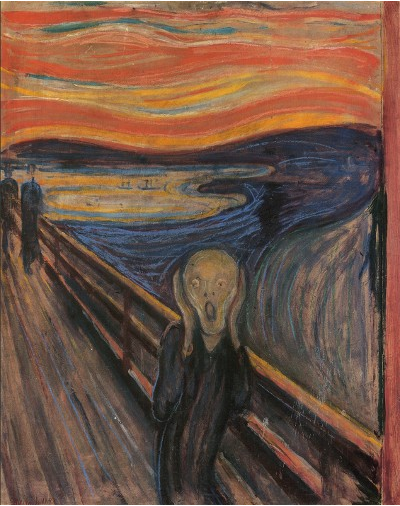 When my wife sees the Skriget painting, it reminds her of a well known Danish politician - Willy Søvndal. I then purchased a poster of the painting, so we can have it hanging in my home office. If you think you know this painting from somewhere, but can't quite put it from where, then it may be from The Simpsons. I went back to the conference to catch a few talks such as the excellent talk about Coffee script. Which reminds me that I am in need of coffee, so I better end this blog post now.